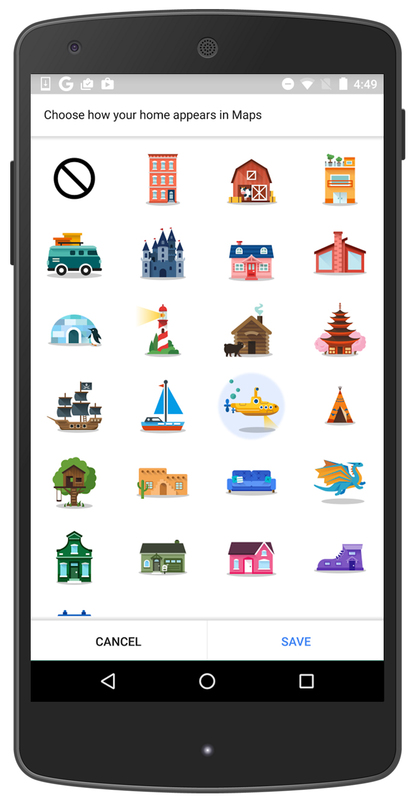 Do you know you can customize your google maps (Location) address icon right from your profile, there are bunch of stickers available in official Google Maps App like tree-house, igloo, farmhouse, ship and many more. You can set your icon through your smartphone, we explained here have a look this short tutorial. To save home and work addresses and other locations, just make sure you are signed in into your Google account.